Drones use GPS to find their way without a pilot. But GPS signals can be easily blocked by tall skyscrapers or trees — leaving drones lost. 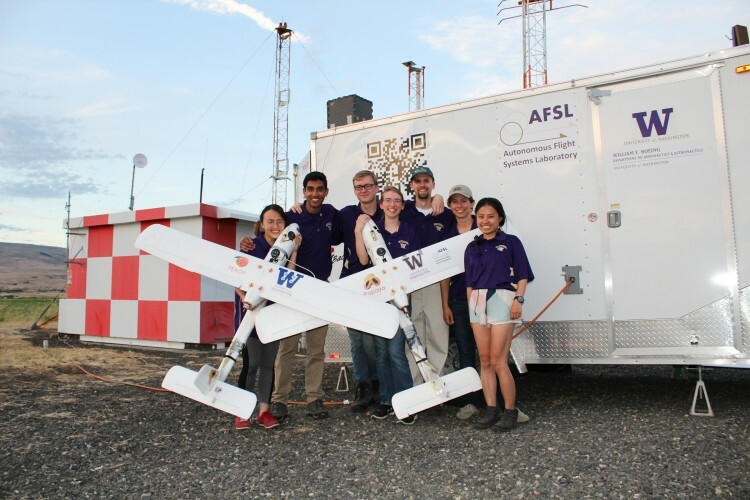 Now researchers at the University of Washington have developed a new method that gives aircraft a backup system in case GPS fails: An antenna on the ground that can tell a drone where it is. The team successfully tested their system in June. 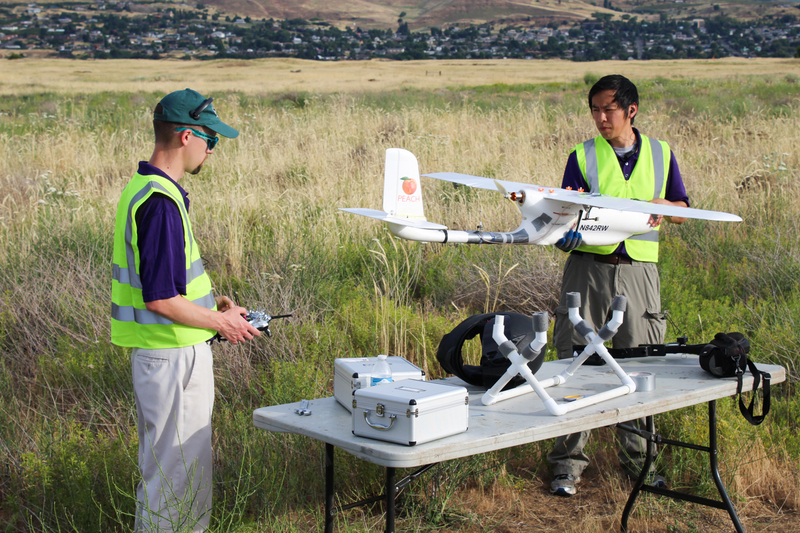 The team’s unmanned drones carry transponders on board that send signals to operators and any surrounding aircraft about their whereabouts. If GPS is knocked out, the transponder doesn’t know its location, but it will still send signals. So the team used a large ground-based antenna array to pick up the signals and then triangulate the position of the aircraft. 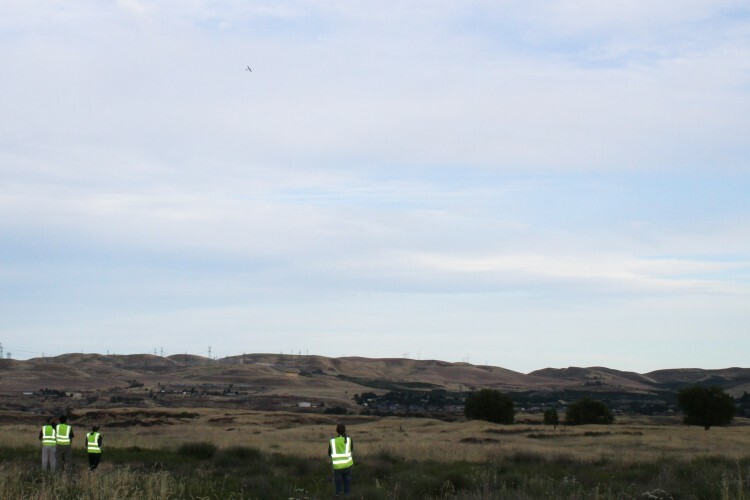 On June 12, the team tested their system with the antenna array at the Columbia Gorge Regional Airport, just across the Columbia River from The Dalles, Oregon. The drone successfully completed its 1.25-mile flight path without using GPS. The only time it deviated from the designated path was due to wind. While this is not the first technique researchers have developed to keep aircraft flying without using GPS, what’s new is the transponder. The ground-based antenna system, on the other hand, makes this technique cumbersome. Right now it only works when the team is flying a drone at an airport with that antenna system. But the team has plans to expand the drones’ ranges. Starting this fall, Lum will partner with T-Mobile to try to use cellphone towers to perform the same function. 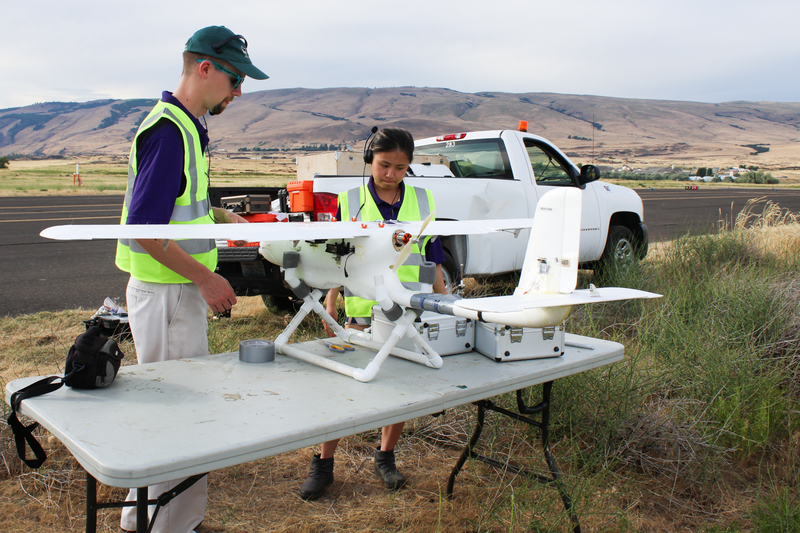 Once the drones can fly larger distances without GPS, the team hopes to use them to help transport medical supplies to and from rural areas in the state of Washington. UW students who contributed to this project include: Hannah Rotta, Cory Cantey, Ravi Patel, Karine Chen, Kelly Lee, Joshua Brockschmidt, Tinnabhand Patana-anake and Jacob Longhurst. The project is supported by the Advanced Navigation and Positioning Corporation, Hood Technologies, Sagetech Corp, Insitu and the Joint Center for Aerospace Technology Innovation. For more information, contact Lum at: lum@uw.edu. "But GPS signals can be easily blocked by tall skyscrapers or trees — leaving drones lost." and exactly signals from ADS-B transponder can be easily blocked by tall skyscrapers or trees — leaving drones lost. Triangulation is very old technology and signal from ADS-B transponder can be easily replaced by WiFi signal, Bluetooth Low Energy signal. and geolocation of aircraft in 3D space is calculated by triangulation algorithm. This is very informative, thanks for these man I'm still learning about this. This is amazing. What kind of position accuracy can you expect?